Day two began bright and early with the whole group gathering together in the lobby of our Buenos Aires hotel waiting for the airport shuttle and hoping we would make it on time for our morning flight to Calafate. We had painfully transported all our luggage one at a time down the tiny one-person elevator pods and were trying to recall each other's names from the previous evening's introductions. We were a well-balanced group of five Americans, five Canadians, and five Brits, all single, easy-going travelers and soon to be great friends. People often commented on how well we all got along, which is unusual for groups of that size. Another thing that was rather unusual about our group was the statistically improbable number of Nicoles: my travel buddy form New York, Nicola from Vancouver (though really British), and Nicole from Calgary. That meant each geographic center had a representative named Nicole! As you can imagine, this statistical curiosity led to some confusion on the trip. Everything went smoothly at the airport except that one of us lost a Swiss army knife for forgetting to check it. Accustomed to the draconian security checks at American airports, it was refreshing to go through security like human beings with shoes on and a water bottle or two in our carry-on luggage. However, even here, knives of any kind, big or small, are a no-no. Austral Airlines was nice and served us breakfast, a long-forgotten luxury on domestic flights back home. As the time passed on the four-hour flight, we saw the scenery outside fade into thick cloud cover foreboding the impending climate change. Indeed, when we stepped out onto the tarmac in El Chaltén after a bumpy landing (jetways haven't caught on in Argentina yet), the gale-force winds nearly made us airborne again, luggage and all. This was no Buenos Aires spring. 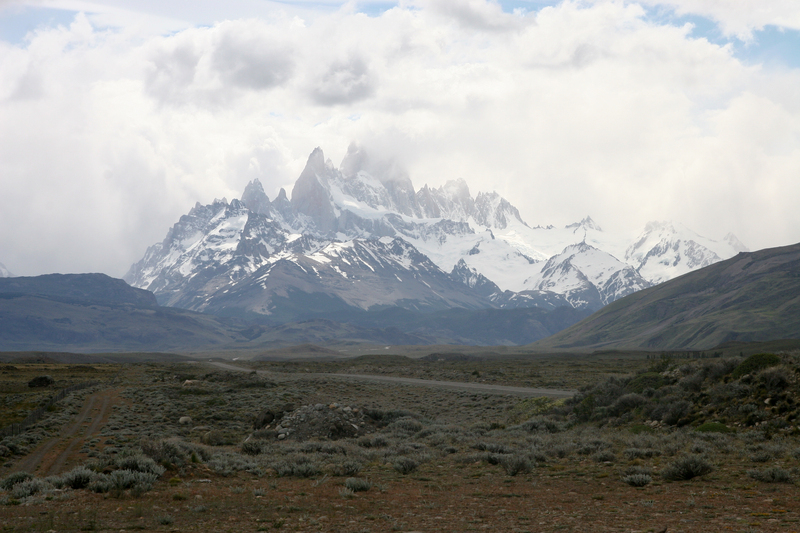 A few of us had our checked bags sequestered for carrying fruits into Patagonia, which led to an unexpected binge on apples and oranges before we could leave the airport. Outside, we met our local guide Gem who would accompany us and keep us safe for the next two weeks. 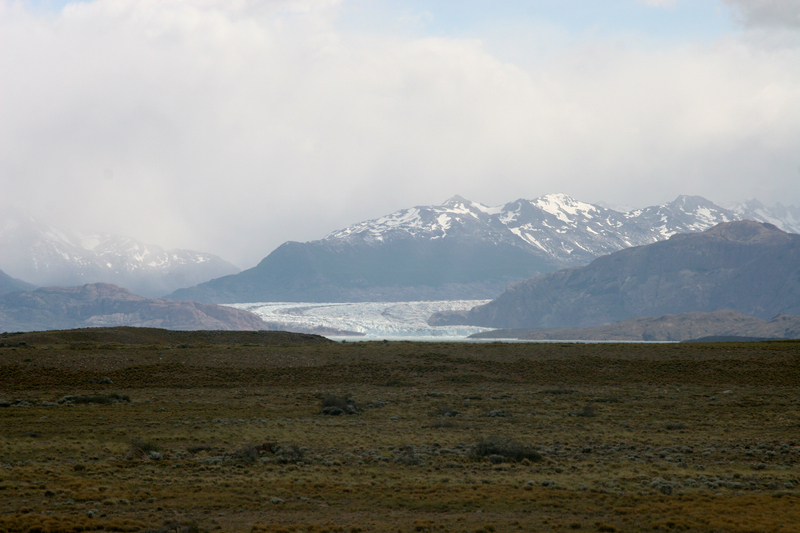 With a mischievous smile, he led us to the minibus that would take us to El Chaltén. 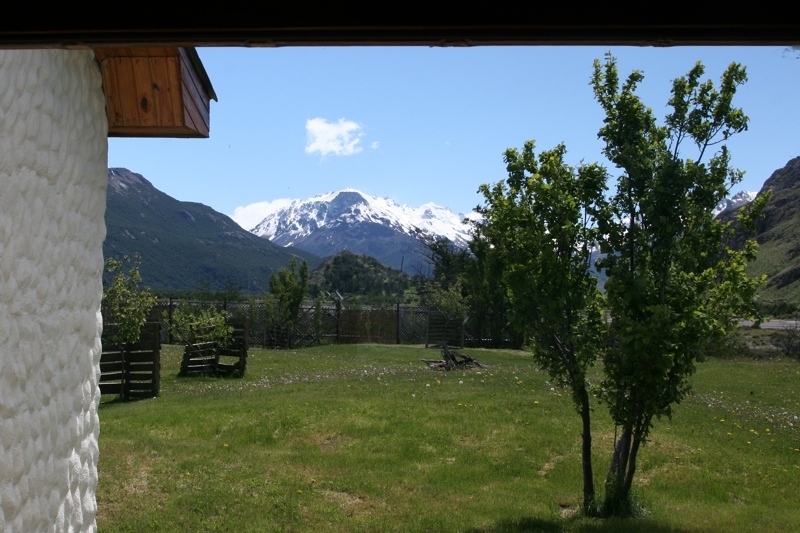 The two-hour ride was too much to take all at once right after a plane ride, so we made a stop at Hotel La Leona, exactly halfway between El Calafate and El Chaltén. 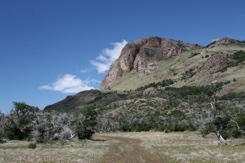 The roadhouse is famous for being the hiding place of Butch Cassidy, Sundance Kid, and his wife Etta Place for a whole month after they robbed the Bank of London in 1905. 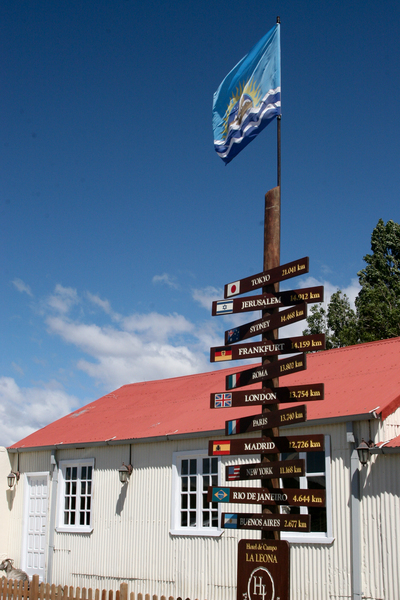 At the entrance of the roadhouse stands a flag pole adorned with direction markers to a dozen major cities, and it was the first of many we would see in Argentina. 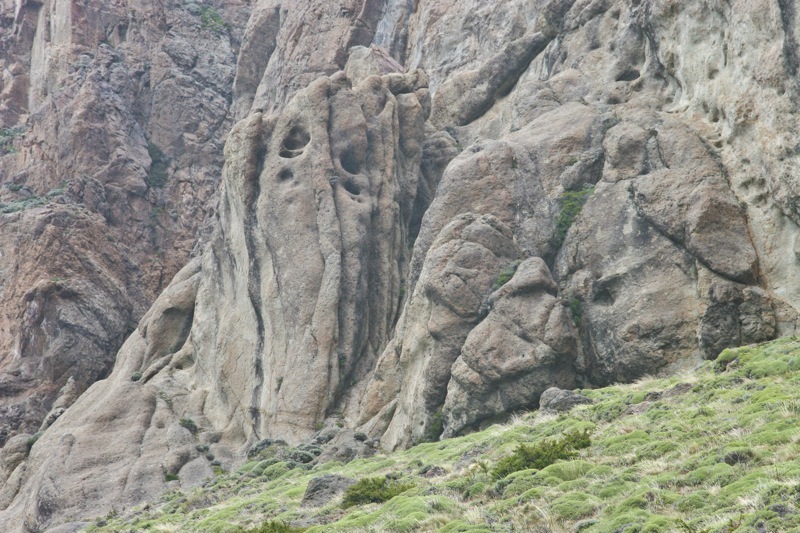 The locals seem proud of just how remote their home is and go out of their way to advertise it. 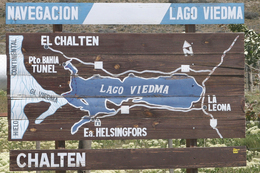 A sign post at La Leona hotel and cafe shows the way to El Chaltén. 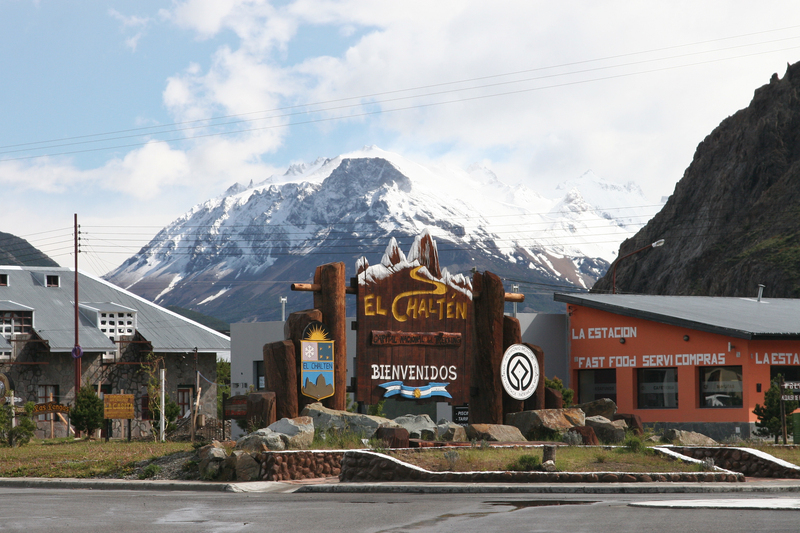 El Chaltén is a tiny alpine village (population: 500) established in the mid 1980s and serves as gateway to all trails up and around Mt. Fitz Roy. 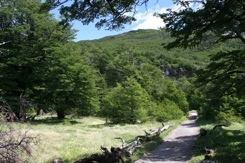 In fact, it likes to call itself Argentina's national trekking capital. It features a couple of bakeries, clothing stores for last minute weather prep, and an ATM that just might honor your request for cash if you are lucky. For me the village's best feature was the local microbrewery; it had a great ambiance that we took advantage of the next two evenings, and their blondes and stouts were not half bad either. Since tourism is its sole raison d'etre, being a resident must be hard, and it would seem many have tried and failed judging by the numerous abandoned construction sites. We arrived late in the afternoon and had a few hours of free time to explore the town before dinner, which we did while trying not to be blown away, not by anything the town had to offer but rather the winds that were getting stronger by the minute. I awoke several times that night fairly certain our hotel had lost its roof. 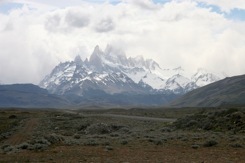 The next morning we got up around 7, in time for our first major hike of the trip up to a view point of Fitz Roy. When I looked out the window, however, I became certain we weren't going anywhere. The howling wind had brought some rain with it and was mercilessly pounding the windowpane. 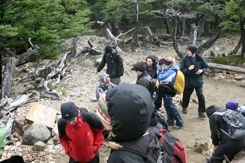 So, Nicole and I coolly walked over to the breakfast area and were surprised to find that many in our group were in their hiking gear. Munching on my bland toast, I looked over at Gem's table and asked: "wait, Gem, are we actually going out there this morning?" 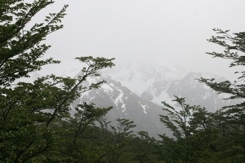 He gave us a somber and very unreassuring nod and had a look on his face that expressed grave doubt as to whether hiking in those conditions was a wise thing to do. When Lucia, the local expert guide, arrived all cheery and bright-eyed, however, the group bent to her will and we followed her into the wild all togged up in waterproof everything. 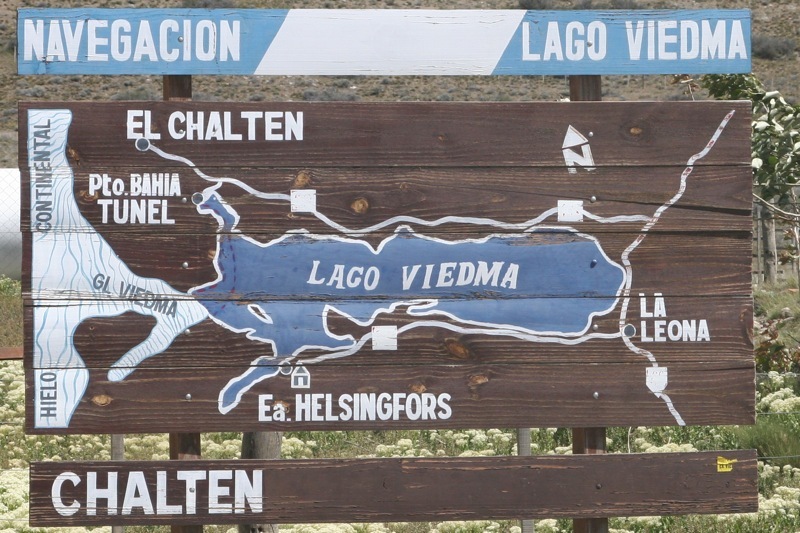 A welcome sign marks the El Chaltén village boundary. Impressed? Yes, it's quite crazy. 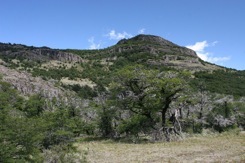 Okay, back to Patagonia. 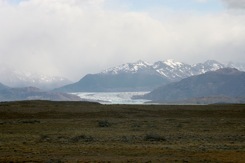 The next morning the rain had stopped, but it was still gloomy outside, so I decided to forego the optional ice trekking on the Viedma Glacier. 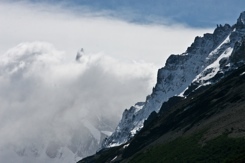 I probably should not have been so hasty with my decision because in just a couple of hours the clouds magically dissipated and the winds faded into a balmy breeze — ideal conditions for ice trekking. In any case, there were plenty of hikes around Chaltén to take advantage of; after all, Chaltén is the national trekking capital. 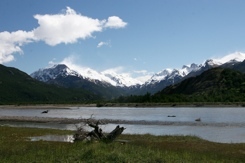 Calgary Nicole also stayed behind in favor of checking out Fitz Roy from the Laguna de Los Tres, and I opted for the short hike to the Chorrillo del Salto waterfall until about noon when those in our group who went on a boat ride to Viedma sans ice trekking would be coming back. 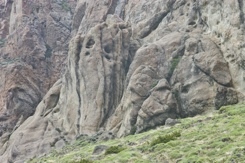 The waterfall was spectacular — well-fed after the rains, it made the hike well worthwhile. 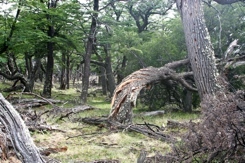 I even got to see a Magellanic woodpecker along the way. The only unpleasant part was the mile or so on the muddy gravel road in my un-broken-in-yet boots that had left a mark from the previous day's epic hike and were causing me great discomfort. 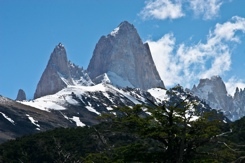 When the others returned from the Viedma boat ride, David and I hiked up to the first lookout of Fitz Roy and were treated to an excellent panorama (the feature image at the top of this page). 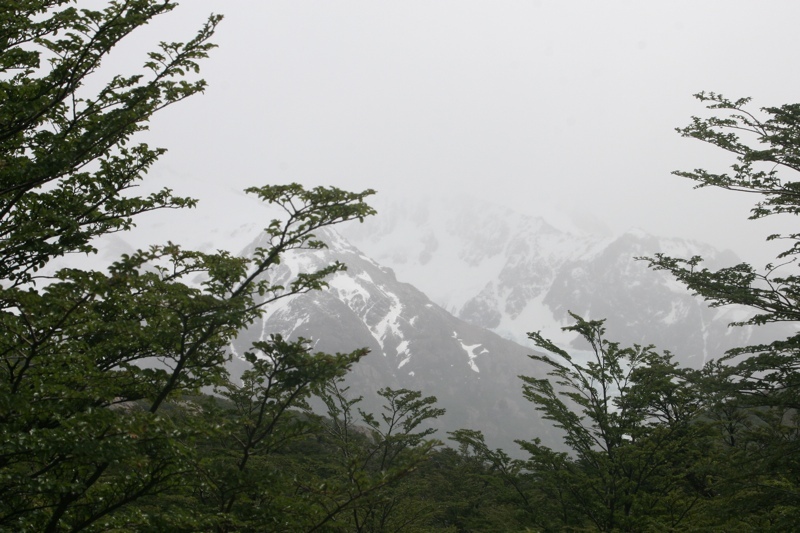 We waited patiently for Cerro Tore to shake off the clouds it had accumulated but they just wouldn't budge. That evening we dined at another restaurant because as good as the microbrewery was, after two nights we needed something different. 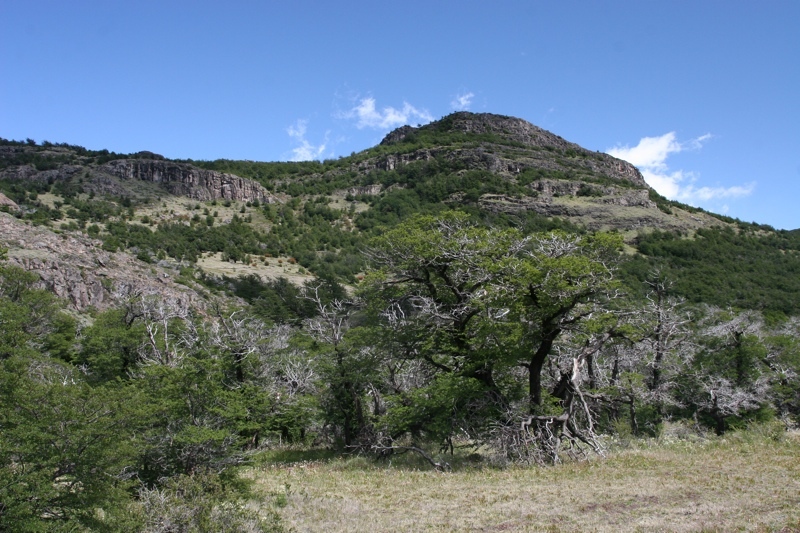 The food was delicious, and at 8pm we hopped on the minibus again for the two-hour ride back to Calafate, this time with no stop at La Leona. The next day the weather did a complete about-face as evidenced by this view from our hotel. 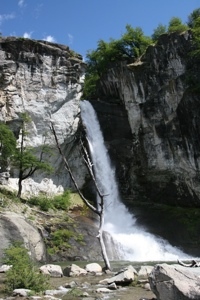 The Chorrillo del Salto waterfall is rejuvenated by the previous night's rain.